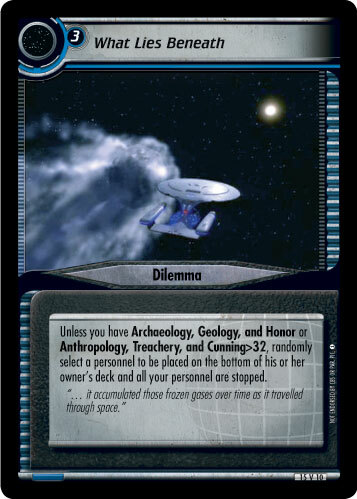 Plays on a mission with no dilemmas beneath it (limit one per mission). 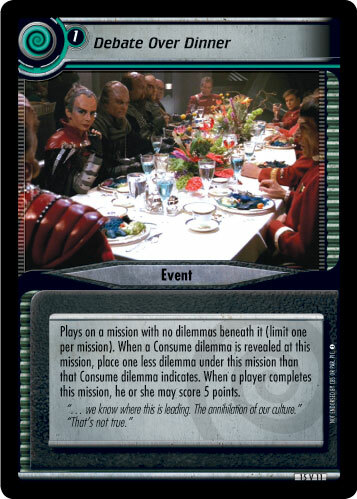 When a Consume dilemma is revealed at this mission, place one less dilemma under this mission than that Consume dilemma indicates. 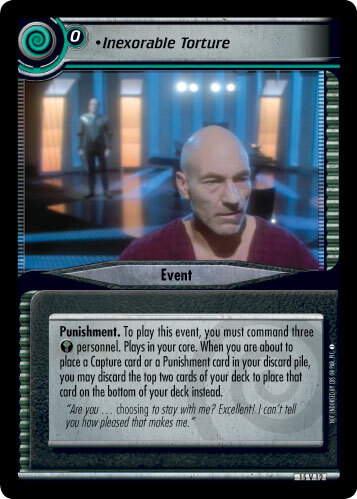 When a player completes this mission, he or she may score 5 points. "... we know where this is leading. The annihilation of our culture."